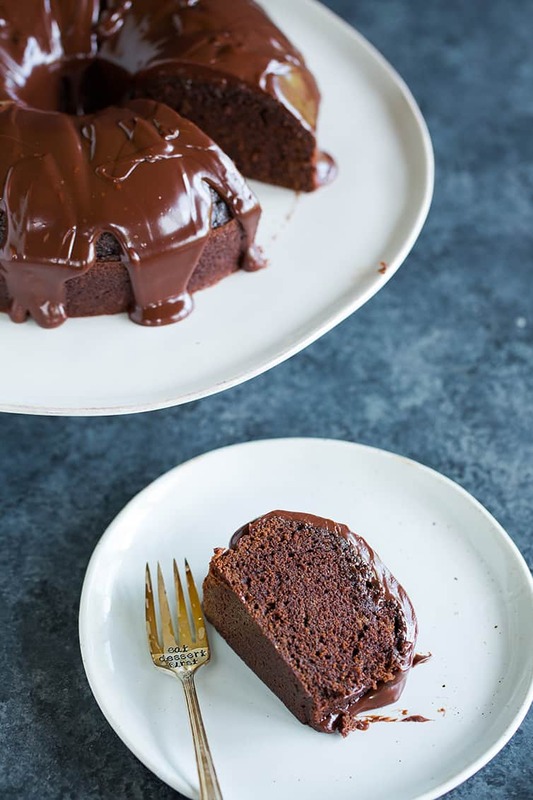 This is an old-fashioned chocolate cake is baked in a tube pan, comes out extremely moist, and is covered in decadent chocolate ganache. 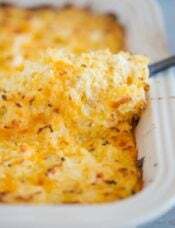 It’s incredibly easy to make and is perfect for both simple, everyday dinners and celebrating special occasions. In case you haven’t noticed, I am forever pulled in the direction of old-fashioned recipes. If it came from someone’s grandma, was inspired by an Aunt Pearl, passed down from a next-door neighbor, or anything of that nature, I will immediately add it to my baking list. I think part of it has to do with this desire I’ve had for as long as I can remember to have experienced life during the 1950’s. Maybe it was watching Nick at Nite as a kid and seeing shows like Donna Reed and My Three Sons, but I’ve always had this idyllic vision of that time period. I imagine that I would have totally fit right in, as being a stay-at-home was forever my dream job. So, when I find recipes that originated decades ago, I love reveling in both their simplicity and delicious ingenuity. This Grammy Cake is a perfect example. I bought the book Vintage Cakes ages ago and hadn’t picked it up in at least a year. A couple of weeks ago, the boys found their way into the office and as they were playing, I happened to grab it off the shelf and thumb through it. One of the first pages that I landed on was this recipe for Grammy cake, which the author says was given to her grandmother from a next-door neighbor in 1949. As the story goes, the author’s grandmother would bake the cake, wrap it, and ship it off to her sons at college and in the military. 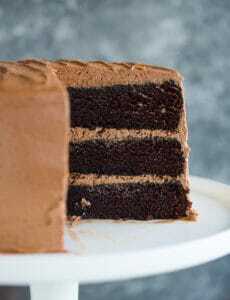 There was no question that this chocolate cake would be gracing my kitchen within a few days. Grammy cake is traditionally baked in a tube pan (another blast from the past! ); I think tube pans from back in the day are somewhat different from the tube pans slash angel food cake pans we have now, but I used mine and it worked wonderfully. I think you could also use a Bundt pan if you don’t have a tube pan. 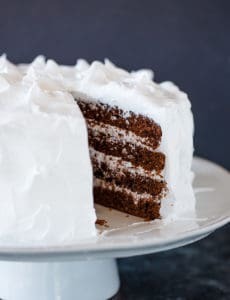 The cake is super simple to make and turns out ridiculously moist. It’s slightly dense, but in the best possible way, like a borderline pound cake, but not quite. Now, let’s talk presentation. The author’s grandmother would wrap and ship the cake without any garnishments, obviously. 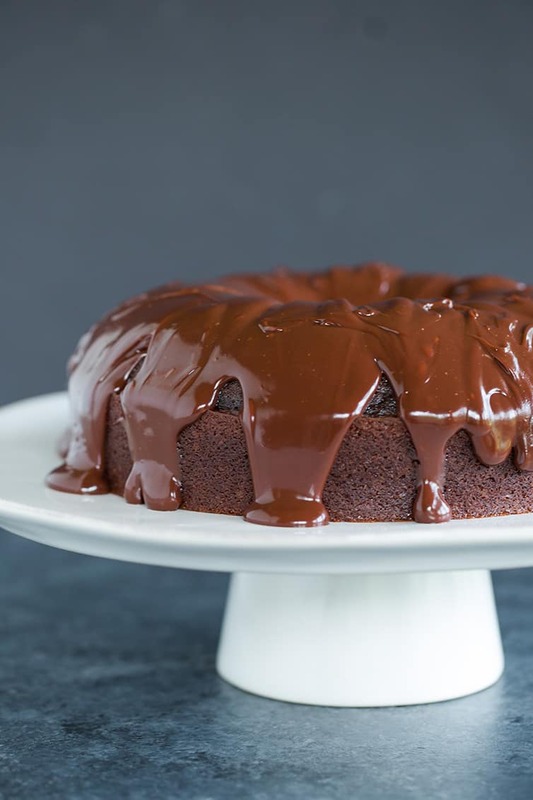 She mentions that the cake can be served warm with a dusting of powdered sugar, but I went for the third option (because of course I would) – a chocolate ganache glaze. I think this was a stellar decision. The original recipe only called for using half of the ganache, but I used the whole thing, because… well, it’s ganache. No such thing as too much! You can see in the photos what it looks like for the cake to be covered in the whole batch of ganache – it’s definitely not drowning in it and, in my humble opinion, is pretty perfect! If you’re looking for a simple chocolate cake that will wow a crowd, look no further. Serve it up after a nice dinner, to celebrate something special, or just because you happen to be craving chocolate cake on Thursday. Grammy cake is incredibly versatile, just like most grandmas that I know. 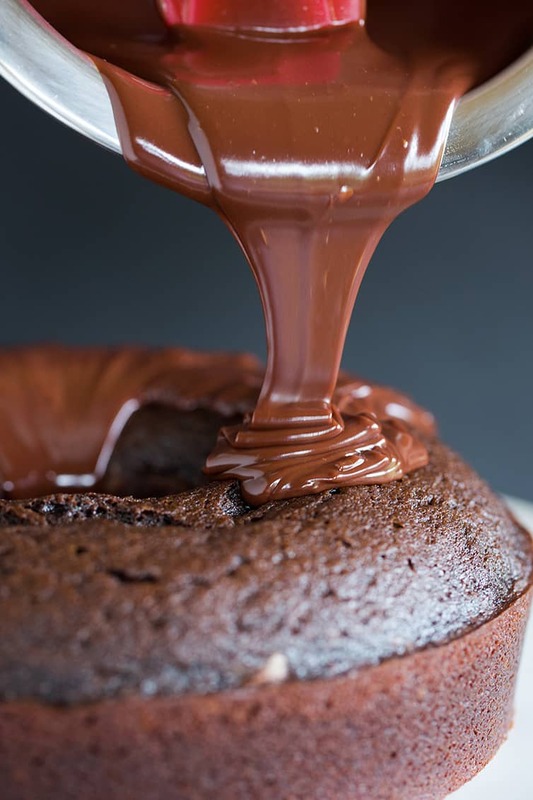 An old-fashioned chocolate cake baked in a tube pan and covered in decadent chocolate ganache. 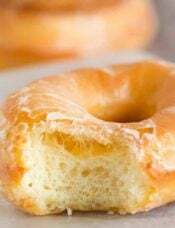 Preheat oven to 350 degrees F. Grease a 10-cup tube pan or Bundt pan; set aside. Make the Cake: In a medium bowl, whisk together the cocoa powder and baking soda. Whisk in the boiling water (the mixture will bubble). Add the butter cubes and canola oil and whisk occasionally to melt the butter. Set aside to cool to room temperature. In a large bowl, sift together the flour, sugars, and salt, then whisk to ensure they are all well mixed. Add the eggs and vanilla to the cocoa mixture and whisk to combine. Slowly pour the cocoa mixture into the dry ingredients while stirring with a rubber spatula; stop stirring once the mixture has just combined and is free of lumps. 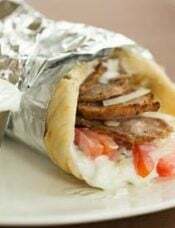 Pour the mixture into the prepared pan and bake until a wooden skewer inserted in the middle comes out with moist crumbs attached, 45 to 50 minutes. Cool the cake in its pan on a wire rack for 30 minutes before inverting it onto a serving plate. Cool completely before glazing with chocolate ganache. Make the Chocolate Ganache: Place the chocolate in a small heatproof bowl. Place the cream in a small saucepan over medium heat and bring to a simmer, stirring occasionally. Immediately pour the cream over the chocolate. Swirl the bowl to ensure that all of the chocolate is coated with the cream. 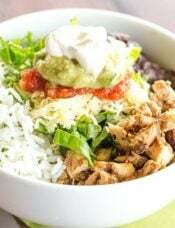 Cover the bowl with a lid and let rest for 5 minutes. Remove the lid and begin to slowly whisk the mixture, starting with small circles in the middle and working your way outward until you have a smooth, glossy frosting. Let cool at room temperature for 30 minutes. Place the cake on a serving platter and pour the ganache evenly over the top of the cake. The cake can be kept, covered, at room temperature for up to 5 days. While this recipe calls for a 10-cup pan, the only ones I have are 12-cup and it seemed to work just fine. You can make the ganache in advance; store covered at room temperature for up to 3 days. If it has thickened too much to pour, place the bowl over a pan of simmering water and stir until desired consistency is reached. The cake can also be served warm and sprinkled with powdered sugar, in lieu of the chocolate ganache. This recipe was really great! my first time making a bundt cake from scratch and it turned out wonderful. I substituted the same amount of olive oil for canola oil. I also didn’t have any cream so I made a lemon icing glaze for the top. Came out nice! This looks insanely delicious! Do you use natural or Dutched cocoa powder? Thanks! Have you used shelf stable whipping cream in your recipes? I don’t usually purchase heavy cream but instead buy shelf stable cream and use it in a variety of dinner dishes but haven’t used it in baking. Hi Mary, I’ve never used shelf stable whipping cream! I experienced a slight problem with the cake sticking to the pan. I should have followed my instincts and used flour as well. More importantly though, the ganache did not work for me. I followed the instructions precisely…kept rechecking the ratio. It just did not thicken up at all after cooling. Any ideas about what I could have done wrong aside from the ratio? Thanks! Hi Ginger, If the ratio you used was the same as the recipe for the ganache above, then you may just need to pop it in the refrigerator for a bit. Ambient air temperature and humidity can play a part in how well it firms up. Made this cake 4 times now and came out amazing every single time…. this recipe is a keeper! Just wanted to say thank you for this wonderful blog/site. It is my go-to site for a lot of recipes and I recommend it to all my friends. Congratulations on baby#3 and good luck. I made this cake for a holiday dinner last night and it was a big hit! I made it with no dairy- substituted non-dairy margarine for butter and used non-dairy mini chocolate chips and soy milk for the ganache. The cake was moist and fudgy and enough to serve a big crowd. I don’t think the margarine substitution affected the cake at all. It took slight longer to bake than the instructions, but that may just be my oven. The use of soy milk instead of heavy cream made the ganache a little thin, so next time (and there will be a next time! ), I will use a little less soy milk than the recipe calls for. P.S. 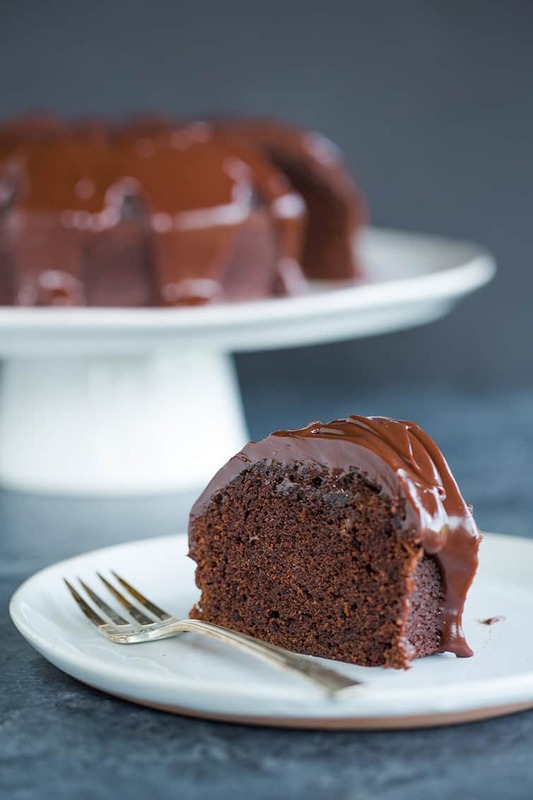 Michelle – your instructions for making the ganache were spot on – I have never tried the method of leaving it to sit for 5 mins and then stirring with the small swirls to begin – it worked perfectly and my ganache turned out super smooth and glossy. Mine is in the oven right now. I’m so excited to taste it. Except, I’m bringing it to a family holiday gathering tomorrow. Boo, I’ll have to wait to eat it. I want to dig in tonight. 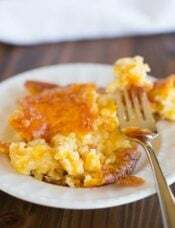 Michelle, I adore your blog and recipes. Hi Michelle I tried this recipe for my daughter s birthday. It was yum mm. Thanks for sharing it. But I have a question that some of the cake stuck to the tube PAN. It did not leave the pan totally as cakes usually do. Why did this happen? Another question that while measuring the ingredients is it wise to measure in grams or by normal size teacups. Hmmm I assume you liberally greased the pan, but just depending on the pan, next time you may need to grease and flour to ensure it releases okay. I always use shortening for greasing, as I find it does a better job than butter or Pam. I made this cake yesterday for my quilt class. Big hit! I wanted to let you know – I subbed out the all-purpose flour for gluten free flour. 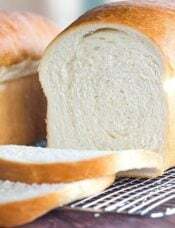 One of our group has celiac disease and I prefer to make something everyone can enjoy. Anyway, I used Bob’s Red Mill Cup 4 Cup. It has the xanthum gum included and I have successfully used it for other baking projects. The cake was rich, moist and delicious, only enhanced by the wonderful ganache! Although I will make it with all-purpose flour for my family, I will definitely add it to my list of GF possible desserts. Made it, loved it! In fact, I’ve made it twice (per the exact recipe) in three days! I only used half of the ganache for each cake which worked perfectly for preparing the full portion. The ganache easily held for three days on the countertop. I did have to warm it a bit per the instructions to give it the right pouring consistency. This is a winner!! Ahhhh I love it! Isn’t great when you find something you love and make it a bunch of times in a row?! Yay! So awesome to hear, Laura! Thanks so much for taking the time to come back and share your review! Hi Denise, I haven’t done so, so I’m not sure how it might affect the cake, but definitely let me know if you give it a try and how it turns out! Denise – I made this with no dairy. See below comment I just posted (9/21/17) for my review/recommendation. Honestly saying this cake looks so yummy. After seeing this I become very excited to try this cake as soon as possible. Thanks for sharing this awesome recipe with us. Keep sharing. You’re welcome, I’m so glad you enjoyed it! My family came over for dinner yesterday and I made this for desert. It was fabulous!! Everyone loved it! This is one awesome delicious cake!!! You must make it for all of the chocolate lovers that you know, plus it is so easy!! Hi Donna, I’m so happy to hear you enjoyed it! I baked this cake yesterday. The only two modifications I made were reducing the amount of sugar by approx 60 grams, and I used rapeseed oil instead of canola as it was what I had on hand. I used a bundt pan and it turned out delicious. Good crumb and not too dense, and the ganache just made it even more delicious. The only issue I experienced was that the cake puffed up quite a bit in the oven. I didn’t bother leveling it or anything as it was just for us and it certainly didn’t affect the taste, but I did wonder if there was anything I could do to have the cake come out more level? Reduce the baking temperature, or was it just because a different type of pan was used? Hi Gloria, I’m not sure if you can tell from the photos, but mine raised as well, I think it was supposed to? Since it’s meant to be baked in a circular pan, I’m not sure that it’s supposed to come out perfectly level. How could anything possibly be wrong with this cake? PURE. PERFECTION. As soon as I got the email yesterday that you posted this, I had to make it–even though it was 7 am! Our oven is a little funky and the top cooked faster than the middle–I think this might be because I don’t have a bundt pan here and just used a regular 8×8. I pulled the cake out when the middle was still jiggly (impatient! ), since covering it wasn’t really working. DELICIOUS. The underset parts taste just like a brownie/have that consistency. Didn’t make the ganache–we’re out of cream–and it didn’t need it! We nearly ate the whole thing!! I’m having a piece right now, again at 7 am! Thanks Michelle–you are my go-to for EVERY baking recipe, and everything I’ve ever made from you gets rave reviews. You’re my secret ingredient!! Thank you so much for the incredibly kind words, and I’m SO happy to hear you loved this cake! Every step of this recipe calls for mixing by hand. Have you tried using a mixer at all? Do you think that it would change the end result of the cake? Thanks so much. Love your posts! I enjoy the old-fashioned recipes. Keep them coming, especially during the fall and winter holidays! Thank you for all you do for those of us who love to bake and try new/old recipes. This cake looks incredible! I need it in my life! Hi Michelle, I noticed that this recipe calls for a 1/2 of fine sea salt. Do you think that I could just substitute regular table salt? 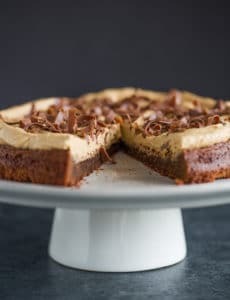 This recipe looks fabulous, and the consistency of the cake reminds me of a Chocolate Mayonnaise cake that I have made in the past. By the way, I grew up in the 50’s, and so I have a lot of great memories and nostalgia whenever I think of the 50’s. It was a wonderful time. My Mom was a stay-at-home and always had something delicious waiting for us in the kitchen whenever we came home from school. Please keep those great recipes and stories coming, Michelle! Hi Valerie, I think table salt would work just fine. 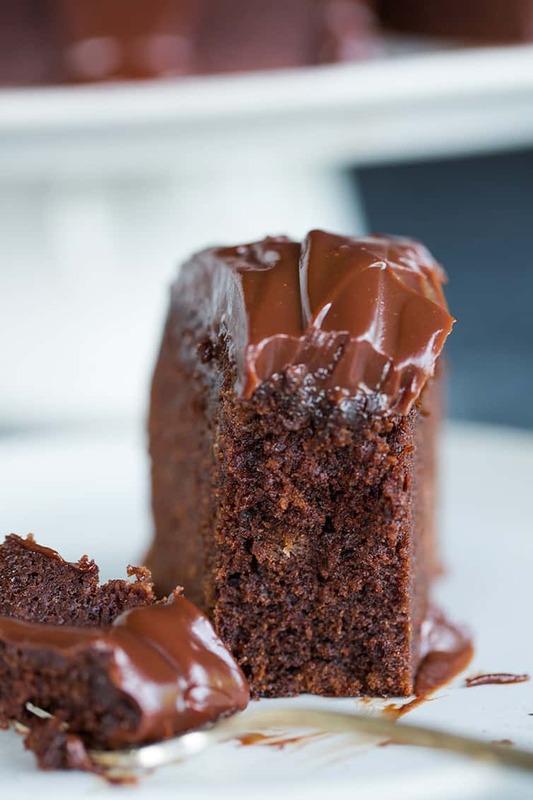 I have heard of chocolate mayonnaise cakes, but I’ve never made one; I’ll need to add that to my list! The 50’s just seem like they would have been such a fun time, everything was so much simpler! I am forever pulled in the direction of old-fashioned recipes too! And I have Vintage Cakes and have been eyeing this recipe for 3 or so years now…. :) I love that you added the ganache, that seems crucial to the amazingness. And I love moist, dense cake. Dry ‘airy’ cakes are just not worth the calories! I am 100% with you, I’d rather have a dense cake any day!